Readers of this blog will know that I am interested in questions of multiculturalism, and how far any society should and can go to accommodate customs that seem detrimental to the life of the society as a whole. In general, my argument regarding Canada and some other Western countries is that so-called “multi”-culturalism is actually based on a unifying culture of small-l liberalism that tolerates a variety of customs in the private sphere, including practice of religions that are relatively new to the society concerned, such as Islam. I’m opposed to toleration of customs that undermine this fundamental liberalism. Recently the European Court of Human Rights addressed the question of customs that might undermine not liberalism, but community life. The Court issued a Press Release on July 1, 2014 (ECHR 191, 2014, “French ban on the wearing in public of clothing designed to conceal one’s face does not breach the Convention” http://www.west-info.eu/france-is-right-on-full-face-veil-says-the-european-court/grand-chamber-judgment-s-a-s-v-france-ban-on-wearing-in-public-clothing-concealing-ones-face/) This Press Release explained that the French government passed a law on 11 October, 2010, “prohibiting the concealment of one’s face in public places.” The applicant to the ECHR, opposing this law, was a French Muslim woman who wore both the burqa and the niqab, both of which covered her face, and wanted to be able to do so in public. She raised a number of human rights issues, which you can read about in the Press Release. [The Court] took into account the [French] state’s submission that the face played a significant role in social interaction. The Court was also able to understand the view that individuals might not wish to see, in places open to all, practices or attitudes which would fundamentally call into question the possibility of open interpersonal relationships, which, by virtue of an established consensus, formed an indispensable element of community life…the Court was therefore able to accept that the barrier raised against others by a veil concealing the face was perceived by the respondent [French] State as breaching the right of others to live in a space of socialisation which made living together easier. I remember some years ago discussing an earlier decision of the European Court of Human Rights with a Dutch colleague. In that case, my colleague told me, the Court upheld a Swiss ban on public servants’ wearing the Muslim hijab, or scarf, which does not cover the face. In this instance, the public servant concerned was a teacher, and the Court, if I remember correctly, thought that she would be engaged in a form of proselytization of children. I thought this decision was ridiculous, and that it was better for children in a multicultural society to get used to meeting people with different customs, religions, and symbolic clothing. I still think that. The case of a full-face ban, though, is slightly different. 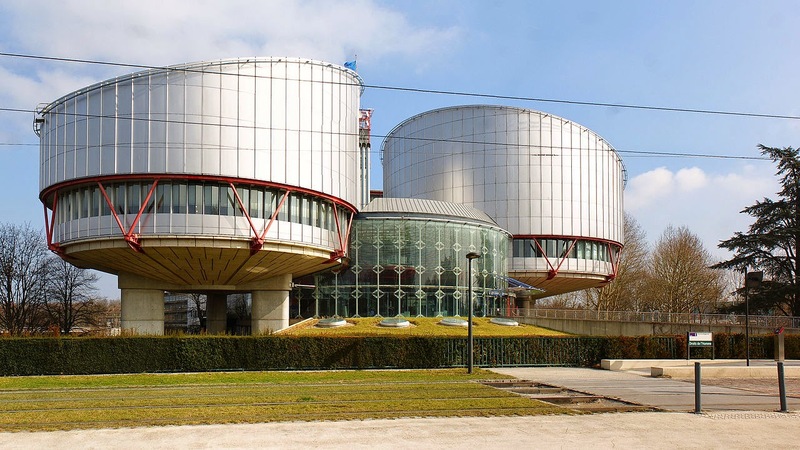 I agree with the ECHR’s judgment that it impedes communication in society. People do look at other people’s faces when they talk. Communication is certainly enhanced when you can see each other; there is a whole area of psychology, I believe, that investigates how it is that most of us can identify hundreds of different faces and read the expressions on them. Face-to-face communication (“face time” in contemporary parlance) results in far fewer misunderstandings than telephone conversations or email. But I’m not sure that this is so important that there should be a law forcing people who don’t want to, to reveal their faces. There would be a problem with this ruling if it applied to Canada. The French law bans full-face coverings of any kind, including helmets (when not worn on motorcycles), and balaclavas. Balaclavas are full-face coverings that leave holes for the eyes, nostrils, and mouth. You see people wearing them in winter in Canada when it is really cold. People also go around in scarves that cover their nose and mouth, while their hats are pulled down over their foreheads, leaving only the eyes visible. I’m not sure how communication is affected by this practice, since people generally take their balaclavas and scarves off when they are indoors, and don’t stop to chat much on the street when it’s so cold, nor do they spend much time in outdoor cafés! And in any event, community is a loose term. In immigrant societies like Canada, it’s quite common for people from the same part of the world to live in the same neighborhoods. Except for work and official matters, they tend to “live together” with their own kind. Their children may move out of the neighborhood and marry outside the community, and “live together” with a variety of other folk, but this is a process of choice, not one dictated by law.